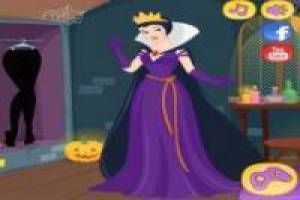 Transforms Disney Princesses in this special Halloween. The girls have proposed a challenge and is to be the person disguise scariest him, the villain of his story. Select ala Disney Princess you want to start changing and opens the closet to put everything that is related to the evil of the story. The button has a light bulb you will see the photo of the villain in question and copy the supplements but remember them well. Transforms each and every one of the Disney princesses and a villain will get all identical to the Halloween party. Have fun making beautiful princesses in evil for a day and shows everything you know about Disney villains. Enjoy the game VS Villains Disney Princesses, it's free, it's one of our disney princesses games we've selected.